Detroit Public TV presented "Be My Neighbor Day" Saturday, October 20th at the Emagine Royal Oak. 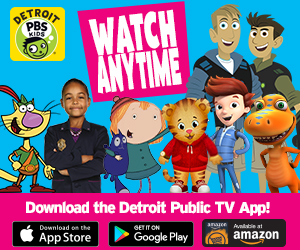 Families enjoyed a free screening of Daniel Tiger's new movie “Won’t You Be Our Neighbor?” plus an appearance by Daniel Tiger, a PBS Kids photo booth, a special ‘Be My Neighbor’ art activity and other goodies. Thank you to everyone who came out for Be My Neighbor Day! We enjoyed having you as our neighbor!